Jessie Aitkin, the long-time Editor-in-Chief of a leading life sciences journal, receives a fantastic job offer. A young animal rights activist requests an interview with her husband, Peter Dahl, a research scientist at a prestigious institute. An unexpected revelation sets in motion a series of events that shifts the course of their careers and their relationship. 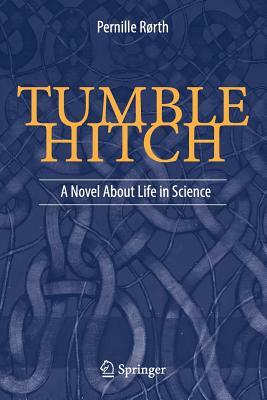 In this novel, another page turner by the author of Raw Data: A Novel on Life in Science (Springer 2016), enthusiasm for basic research and for how science is - and could be - communicated combine in a thoughtful reflection on the impact of ambition on personal relationships. In a non-technical appendix, the author discusses the use of narrative in scientific papers and considers alternative modes of science publishing, one of which is featured in the novel. Storytelling in science has the potential to enhance communication, but may also have unintended consequences. This novel and the appendix explore these timely and important issues for the scientific community.